• We kick off The Purge with great news for Paulini this week; confirmation she’s scored the lead role as Rachel Marron in the stage production of ‘The Bodyguard’, stepping into the shows made famous by the late, great Whitney Houston. The nationwide tour kicks off at Sydney’s Lyric Theatre in April and audiences will be able to catch Paulini performing some of Whitney’s biggest hits, including the classic ‘I Will Always Love You’. • Former ‘X Factor’ starlet Marlisa has popped up again, this time supporting Ronan Keating on his national tour, which kicked off in Melbourne last night. “From the moment I heard that exceptional voice, I knew Marlisa was something special,” Ronan said in a statement. “I am so thrilled that she’s able to join me on the road for this tour, and show Australian audiences what she has to offer. This is a young artist with a massive career ahead of her – I can’t wait to see her on these big stages!” Ronan plays Melbourne again tonight, before venturing to Adelaide, Sydney (for two shows), Brisbane, Newcastle and Perth. Marlisa won’t, however, be making the trip west. • Spotify has rolled out their annual list of ’25 Under 25′, the 25 most influential music talents on the planet aged 25 or under. Leading the pack for 2016 is Canadian heartthrob Shawn Mendes, who’ll perform on ‘The X Factor’ tomorrow night. Ariana Grande, Chance The Rapper, Martin Garrix and Justin Bieber make up the top five, with Sydney’s own Flume lobbing at No.10 and Brisbane’s Joel Adams landing in the No.16 position. • Sydney outfit The Griswolds will release their new album ‘High Time For Low Lives’ in the middle of November. We’ve been told to expect an album which is “a melting pot of genres from hip hop to R&B, intersected with slinky indie”. 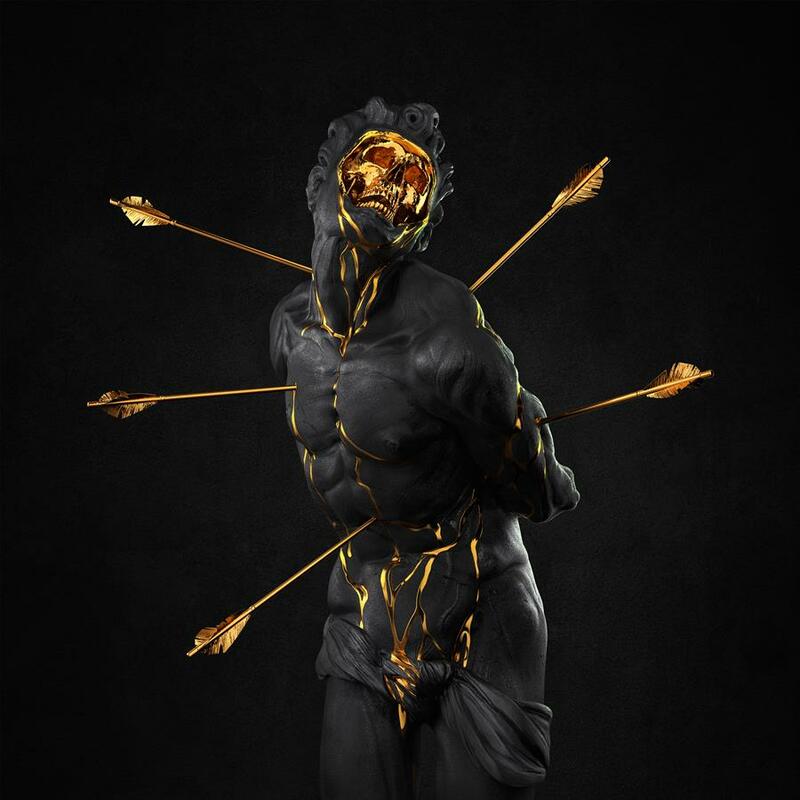 Fans in the band’s hometown who pre-order the album from their official website also get the chance to score tickets to a special VIP event, where they’ll be among the first to hear tracks from the new LP. ‘High Time For Low Lives’ drops on Friday November 11. • Beatles fans are in for a treat next month, with Ron Howard’s acclaimed film ‘Eight Days A Week – The Touring Years’ being readied for digital and physical release. 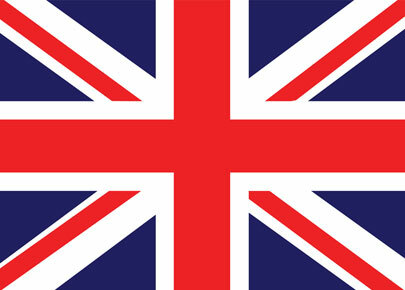 Made with the total support of Paul McCartney, Ringo Starr, Yoko Ono Lennon and Olivia Harrison, the film tracks the rise of the British supergroup from the small clubs of Liverpool to their international superstardom. It’s out on digital download from Friday November 18 and will drop on DVD and Blu-Ray on Thursday November 23. • Aussie band Belle Roscoe want to take two lucky punters on their upcoming trip to Cuba. They’ve been invited to perform at the Havana Jazz Festival in December and are giving two of their fans the chance to join their entourage. All the details of how to enter are on the band’s WEBSITE. • Given he’s already sold out five shows on his upcoming Australian tour, it seems us Aussies have quite the love for the Sugar Man, Rodriguez. 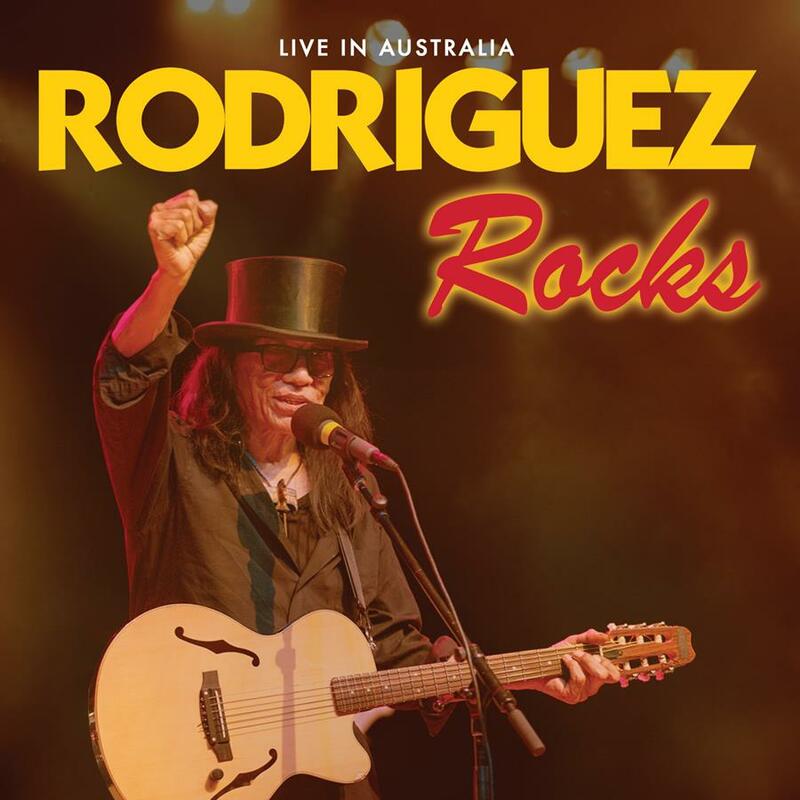 So it’s understandable that that love flows two ways; Rodriguez confirming the release of a live album entitled ‘Rodriguez Rocks : Live In Australia’. The ten track release, due on November 18, features live performances of some of Rodriguez’ most beloved songs, recorded at shows throughout Australia on his tour back in 2014. • Congratulations must go this week to the team from A Day On The Green, who are about to celebrate their landmark 400th show. Since popping onto the local touring scene back in 2001, it’s delivered some of the planet’s biggest and best names to wineries and select outdoor spaces across the country. And on Saturday November 19, they notch up show No.400. Well, shows 400 and 401 to be precise; Rodriguez, Xavier Rudd, Russell Morris and Archie Roach will be performing at Bimbadgen in the Hunter Valley and You Am Im, Something For Kate, Spiderbait, Jebediah and The Meanies will be playing Peter Lehmann Wines in the Barossa Valley. A hearty congratulations to the team past and present on an incredible milestone. • Congratulations must also go to Gretta Ray, who this week won the prestigious 2016 Vanda & Young Songwriting Competition for her single ‘Drive’. The Melbourne-based 18 year old beat out more than 3900 entries from more than 20 countries, with Brisbane’s Emma Louise placing second and Tigertown and US hip hop artist Tia P tied for third. The win nets her a cool $50,000 prize, with $10,000 going to second and $5000 each for third. • In Melbourne, meantime, local outfit Tempus Sun won the 2016 Melbourne Music Bank competition for their single ‘Owls’. For the win, they pick up a rather spectacular $60,000 prize, which includes studio time, creation of two video clips, 500 copies of their CD and so much more, along with a spot on the Beyond The Valley line-up. 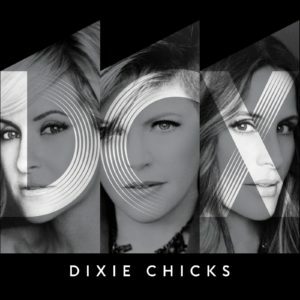 • The Dixie Chicks have added a second and final Melbourne date to their run of headline shows next year. With their first gig at the city’s Rod Laver Arena already sold out, the team at Chugg had no option but to add a second show – on Sunday April 02. Tickets are on sale now, while tickets for the girls’ Qudos Bank Arena show in Sydney on March 29 is selling fast. The Perth show went on sale on Wednesday. • Nick Cave & The Bad Seeds will tour Australia from the middle of January, kicking proceedings off with a gig in Hobart on January 13. Two dates are locked down for both Sydney and Melbourne, along with shows in Brisbane, Perth, Adelaide, Newcastle and Ballarat in what they’re describing as their “biggest and boldest production ever”. Tickets are on sale now. • Great news for organisers of the Secret Garden Festival, with confirmation this week that the event has already sold out, even before the line-up’s been announced. No word yet on who the performers will be for the February 24 and 25 event, but that and more announcements will be made in the coming months. • In Tasmania, organisers have dropped the line-up for the 2017 Party In The Paddock. The fields just outside Launceston will be shaking to the sounds of Montaigne, KLP, Hermitude, Vera Blue, Tash Sultana, Sticky Fingers, Boo Seeka, Remi and many more from Friday February 10 to Sunday February 12. Tickets are on sale from 9am AEDT on Monday. • Smiles all ’round in Little Mix HQ this week too; after debuting at No.1 last week with their new single ‘Shout Out To My Ex’, the UK girl group holds steady for week number two at the highest point in the land. James Arthur still isn’t going anywhere, however, maintaining the No.2 position with ‘Say You Won’t Let Go’. In fact, the whole top five is steady in the UK, with Neiked’s ‘Sexual’ up from No.12 to No.6 and the new Clean Bandit single ‘Rockabye’ premiering in the No.7 spot. • The top five on the UK singles chart might be all steady, but over on the albums chart, it’s made up of four debuts, none higher than Elvis Presley’s latest posthumous offering ‘The Wonder Of You’, which lands at No.1. Michael Bublé scores a No.2 debut for his new album ‘Nobody But Me’ and, with the combined power of Presley and Bublé, Lady Gaga’s kept out of the top spot with her new album ‘Joanne’, which debuts at No.3. No.4, also on debut, is the new Leonard Cohen album ‘You Want It Darker’, while Kings Of Leon’s ‘Walls’, which debuted at No.1 last week, is down to No.5. Status Quo’s ‘Aquostic II – That’s A Fact’ premieres at No.7, Sia’s ‘This Is Acting’ (now with repackagey goodness) bullets from No.43 to No.8, Korn’s ‘The Serenity Of Suffering’ is another new entry at No.9 and the ‘Lazarus’ original cast recordings premieres at No.10, wrapping a busy week in the UK albums chart top ten. Melanie C’s new album ‘Version Of Me’ is new at No.25. • It’s Groundhog Day in the US again, with The Chainsmokers’ ‘Closer’ still firing in the No.1 spot on the Billboard Hot 100 singles chart. In fact, the entire top four is steady Stateside this week, with D.R.A.M’s ‘Broccoli’ steaming up the No.5 position (up from No.6). One of the week’s biggest movers, meantime, is the new Maroon 5 single ‘Don’t Wanna Know’, which rockets from a No.56 debut to No.9. • And over on the Billboard 200 albums chart, a sensational result for the boys from Kings Of Leon, notching up their first ever No.1 album with ‘Walls’. Last week’s No.1 (Green Day’s ‘Revolution Radio’) tumbles to No.10, with Drake’s ‘Views’ again improving to No.2 and the ‘Suicide Squad’ album up to No.3, leaving The Game’s newbie ‘1992’ to debut in the No.4 spot. Given the massive ten year gap between albums, we’d say JoJo will be more than happy with a No.6 debut for her third long player ‘Mad Love’. Blackberry Smoke and Hillsong both miss the top ten, debuting at Nos.12 and 14 respectively. • Boo! The Purge is over for another Saturday! But YAY! We’ll be back at 7pm AEDT with our weekly wrap of the Aussie singles and albums charts with ARIA Chart Watch. We’ll wrap ’em for you then.